What an incredible end to Term 1 of 2019. Our wonderful year 6 students have been incredibly busy. Over the last two weeks they did an amazing job presenting the Year 6 Assembly, had Class and House photos, spent time listening to wise words from Morris Gleitzman and competed in the Athletics carnival. Nearly time for a hard-earned rest. In Literacy lessons students have been putting their writing skills to the test as they crafted a text to entertain. A big focus over the last week has been the skill of editing, and the skill of looking to not only correct their work but for ways to further enhance and enrich their writing. There have been some very powerful stories that evoke mood by using a wealth of strategies. We have used foreshadowing, figurative language, noun groups, varied sentence types, repetition, noun groups….. the list goes on! We look forward to reading the final product. SHARP reading has continued on with a focus of non fiction as we delved deeper into the world of Energy and Microorganisms. Some fascinating scientific and reporting language was uncovered, indeed. Mathematics has seen us complete our last investigation; My Personal Profile which included converted units of measurement, drew and measured angles, collated and stored data as well as transferred onto dot plots and pie charts (made from scratch!). Protractors and compasses were certainly getting a workout! Now, we have moved on to spending some time revising and extending our knowledge of Number; mainly rounding, place value of large numbers and addition and subtraction. It has been useful to revisit these skills as it is such an important part of everyday mathematics. Over the past couple of weeks our classrooms have played an important part in our current science unit as we look to find the best conditions for mould to grow. Student were given a scenario where a shop had a problem with mouldy bread and an investigation needed to be done to find what conditions are best to make the mould grow. Currently we have bags of bread in cupboards, stuck to walls and hidden in lockers all in the name of science. 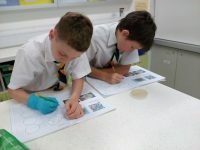 Students have really enjoyed the current unit of Microorganisms as they have found out the amazing world of tiny creatures that live around us all day. 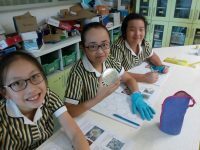 No doubt you have heard about our visits to the Secondary Science Laboratory last week to investigate our petri dishes for Microorganisms. Our budding scientists donned gloves before identifying and sketching their results. There were some interesting finds! The Athletics Carnival was held on Monday 1st April at Ma On Shan. It was an incredible day with all students giving their best across each of the events. Wattle were the winners on the day with Jacaranda second, Waratah third and Eucalypt fourth. A special mention need to go all of the Year 6 Students for their leadership and enthusiasm throughout the day. They did a great job at keeping their House organised and full of energy over a long and exhausting day. Congratulations to all students for their effort! Our Year 6 students certainly all stood up as leaders. A reminder that the Beijing Cultural Tour runs from Sunday 13 October – Friday 18th October. An extremely exciting term awaits us and begins with a bang as we delve straight into Public Speaking and explore what makes a quality public speaker. 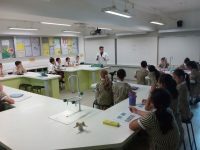 During the first two weeks, students will explore more formal as well as impromptu speaking in class before their teachers and peers. We look forward to sharing this with you on Seesaw. 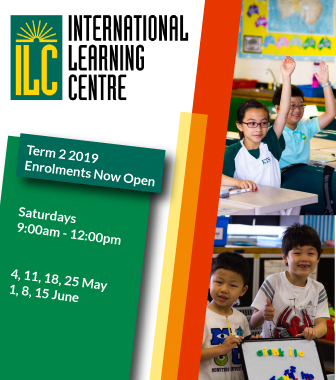 Term Two brings the exciting arrival of our History unit which shines light on the journey that has made Australia the country that we know it as today. As part of this exploration, we will be identifying Australians who have made significant contributions and even seen as heroes. Of course, this leads into our major research project and links to our ‘Writing to Inform’ as the Year 6 students will each undergo a quest to identify one significant person or group who have made outstanding contributions to Australia. This week, as part of our Homework task, students were asked to begin pondering who this person might be for them. There certainly are a wealth of options to choose from: athletes, politicians, explorers, humanitarians, artists, performers, scientists, inventors etc. Whether this person be from the early 20th century or from this year, there really is an outstanding choice. We have reminded the students to be aware that there is enough information regarding this person as they will be presenting a biography as well as a small exhibition which will consists of a number of elements. If you spend any time in museums over the holidays, encourage a conversation with your child of how the artefacts have been exhibited and a story told from the exhibition. Next term, the students will be completing work in class as well as part of their Homework to complete their project. They will be guided with their time management and deadlines. In Week 2 of next term, the students will be asked to email you with their decision as well as three reasons why they believe that this person is the right choice for them. These are only but two of the rich learning journeys that we will embark upon in Term 2. A very exciting term lies ahead indeed! Digital Technologies will continue in Term 2 with student working with CS First to learn and enhance their coding skills. Online safety is continued to be discussed as students complete the eSmart Digital License program. Have a restful break and wonderful Easter!